The Sweet Stamps Challenge this week is Valentine or Love. This background is very shimmery and has just a tad more Fired Brick in the background- and I hope you can see the shimmer : ) I cut thin strips of the Coordinations cardstock and made a weave pattern for the background. I cut the lower portion of the rose image and added it over the weave. I thought it was fun to see just a portion of the image used in another way. I added border stamp around the perimeter in White ink- can you see the dots? I challenged myself to color the images in regular (SU) markers- no Copics this time.... Image is 1990's Embossing Arts- one of my first stamps and well loved in the day....... : ) I used Coordinations cardstock that was then sanded....... The other self challenge was to use a tag on my card. I added glimmer with Sakura Stardust Gelly Roll pen. The ATC is on a TJ technique from a really long time ago- a UFO...... I stamped the image on the background in Stazon, then on white cardstock, and cut out the larger portions of the image. The sentiment is from a $1.00 clear stamp. I added lots of rhinestones and shimmer.I used just a portion of the sentiment from the $1.00 set. I have tons of the $1.00 sets that I never use..... Do you collect them too??? Shimmer, Gimmer, Sparkle and Shine- New CD Blog Hop! I am joining the rest of the Technique Junkies Design Team today to share some great artwork from the brand new CD, **Shimmer, Glimmer, Sparkle and Shine**! I had so much fun creating with techniques from the CD- I think it is my favorite CD so far!!! You will want to start the HOP at the beginning, visit Judy on the Designer’s Blog so as not to miss a thing! (The entire Blog Hop list is noted there). You have just visited Holly's Blog - she made a couple of fabulous projects, didn't she? It seems we both had purple in mind for designing! I love the butterflies she added to her card too.....! The image (HERE) and the border die are from Sweet Stamps. I also added Stickles around the opening of the die cut, and added Copic coloring to the rhinestones. The cardstock is by Coordinations. I used an image from Sweet Stamps colored in Copic markers. 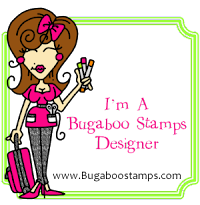 The BG stamp is (a retired) Stampin Up. I colored the ribbon with Copic Marker. The dies are by Cherry Lynn Designs- available at Sweet Stamps. While doing this technique, you will have 'left overs-ink" for a second piece. The flower (Sweet Stamps) is another sample of Glimmering Gelato's (I used red and pink for the flower head and 2 shades of greens on the stem). The inks for the background are the same as above- Dylusions Purple, Yellow and Red. The layer behind the technique is an Iridiscent Vellum (so does not look green IRL). Next on the Blog Hop- using a fun technique with Glimmer Mists is Hetty. One lucky person that makes a comment on each of the participating DT blogs will WIN one of the new CD's. Pat Huntoon will announce the winner on her blog next week. I hope you enjoyed the Sparkle and Glimmer! I have to mention- the graphics above and post was done by Hetty on the DT- one of these days, I will learn how to create these........!!! The Sweet Stamps Challenge this week is Pearls and Lace. Oh I had to grab the Prima Nature Garden Pad for this challenge- paired with a floral image....! 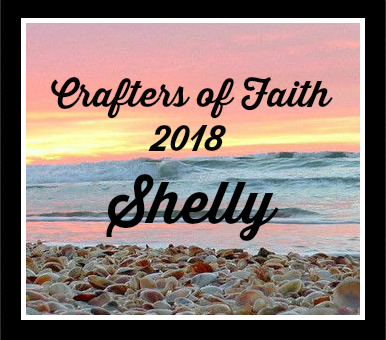 I cannot wait to see what you create- come join us for a girly challenge, won't you? As always- I so appreciate you stopping by! I am posting a card I made using the Inked Resist technique from the last Technique Junkies newsletter. I love the way it highlights the image so nicely. The main image is by Art Neko, the text stamp by Hero Arts. The backing DP is from a blogging friend Paige- thanks : ) I added the stitching by machine. The flower is colored with a Copic marker and and I added some Creative Inspirations paint in Fairy Dust to it to make it shimmery. I found a fun link to a daily tutorial called Creative Jumpstart 2013 and wanted to share it. Drop me a line and tell me what you think if you sign up! The Sweet Stamps Challenge-Technique Challenge for 1/15-2/14 is Embossed Embossing. Here is a tutorial (on SCS) for Embossed Embossing. I used Coordinations Lavenders for my cardstock (the darkest two in the set). I used the antistatic pad, then embossed the cardstock using the Scrollworks embossing folder. I brayered over the raised embossing with the embossing ink, then applied Fantasy Ivory embossing powder. I used a small paintbrush for remove fly-away embossing powder. I added the butterflies and some rhinestones. I used Sandy Tans Coordinations and the Fantasy Ivory Embossing powder. I made a star from a scrap of the technique and added some twine and a Candy brad. The Patterned Paper is by My Minds Eye. The ribbon was a purchase from a scrapbook store in Breckenridge, Co. 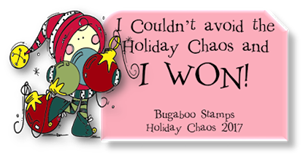 The Sweet Stamps Challenge this week is Anything Goes. I stamped the image with Ranger Embossing Ink and embossed with White embossing powder. I colored the image with markers using the Mono Markers technique from the Technique Junkies. I used the anti-static pad over the cardstock so I would not have any fly-away embossing powder. Surprise- I can do a CAS card! I am not an 'Artist' in theory...I have never had any art classes (other than Papercrafting and being a Technique Junkie). But I have a strong desire to learn some new 'Art Applications', like using Pan Pastels and trying some mixed media......so....in my head..I think I can.....and I guess I can! So, I started out with red and white acrylic paint and spread it across the page with a credit card. I was at a crafty friends home, and she had some stencils and some modeling paste, so I used one of Harriets. It is called Poppies by Crafters Workshop. After the paste dries, I painted the Poppies and leaves with Smoosh and Creative Inspirations Paints. The word Be True to You was painted in Gold CI paint. I then used a variety of products- Dylusions, more acrylic paint (Gold, White and Black). I used bubble wrap, the top of the paint cap, scrapbook paper with cut out hearts in swirls, a credit card. I used tissue paper for the music and the edge strips. The black around the border is done with a black Gelato. Being true to me is about creating, so I took black cardstock and cut out the word CREATE with a Cuttlebug Alphabet set. Here is a glance at a different angle- the dragonflies are done through a stencil as well (I think it is by Stencil Girl- not sure though). I also outlined the flowers with black pen, then Gold Creative Inspirations Paint. I signed up for a stencil ATC swap in November on Rubberstampchat. The swap was to send in 8 and receive 8 ATC's back- and the hostess was Deb Lovett. I was very happy to get out some Pan Pastels-from the Donna Downey Mixed Media l collection and stencils I had not used at all from Crafters Workshop (from Creative Cuts and Crafts in Elmhurst, Ill) . The stamps are from Artistic Outpost .I stamped the stopwatch image a second time and added a 2nd layer of it for a little dimension. For my first attempt at Pan Pastels and stencils, I am pleased with the outcome : ) The pan Pastel pigments do have to be sealed- so they are misted over with a fixative (between each layer). Frosted Designs- Bucket List- using the Pan Pastel kit and stencils I bought last July.......I have been watching tons of how to tutorials and links from Pintrest, so finally got the courage to Just do it! Yeah! The panel woth Embossing Paste is hard to see, so I took a close-up. By Diane Marr. I enjoy the inspiration from these swaps and the challenges to inspire my MoJo! The Sweet Stamps Challenge this week is to use a floral image with a die cut. I am in love with floral images.....so I had to go with the gorgeous Floral Corner wrap image- sadly I need a Sympathy card. I stamped the image with Ranger Embossing Ink and embossed with White embossing powder. I colored the image with markers and the embossing was colored with Copics markers. I colored over the embossing and in places added a thin line of Copic for highlighting. I added the sentiment- and used the anti-static pad over the cardstock so I would not have any fly-away embossing powder. The image is stamped on the background (bottom layer of green) and left to dry for a watermark look. The coordinations cardstock was embossed and sanded to show the core color. The butterfly die cut was painted with Fairy Dust Creative Inspirations Paint. The silver rhinestones were colored with the R37 Copic marker. Jellypark- Old and New (old stamp-sentiment, new stamp-floral corner). I made a template with a small heart punch and added glue through the punched shaped hearts to the background (with regular Elmers Glue).....let it dry, applied distress inks..... The stamps are Michael Strong and SU. On this one, I just scribbled on the glue and let it dry- the image is House Mouse, and it is colored with Copics. There are 3 layers of bobbin and 2 of the mouse. Next, I took glue and spread it over a piece of bubble wrap- and let it dry before applying the inks. This image is Sweet Stamps, the sentiment is Create with TLC. These images are Rogue Redhead. A collage image from an Unknown source. Obviously the background is dotted with glue. Sentiment is Rogue Redhead. On this image, I painted the Geisha faces with glue, then applied Distress Inks over the top. Then, I dabbed the glue off the faces. The image is colored with Copics. The image is from About Art Accents. On this ATC, I just added the lines with glue then added Distress Inks. The image is an Unknown digital image and the sentiment- Create with TLC. These images are by Rogue Redhead. On this ATC, I took the glue and dotted it on and then rubbed it side to side with my finger- once dry I added Distress Inks. The image is the same as the ATC above- I am not sure who created it. On this ATC, I dabbed glue on the ATC and spread it around with a patterned frosting spreader. There is a background pattern from the glue and that is why you see streaks in the tree. I stamped the image twice and cut out the word Serenity and the house. The image is by Artistic Outpost. I joined a Mingle at Oriental Stamp Art (a Yahoo group) to create "Anything but folded in half". I decided to make a 'Stand Alone' card- directions from the Technique Junkies 3D and Fun Folds CD. The Washi paper was RAK'ed to me from Paige. The image is from About Art Accents and is colored with Copic Markers with a touch of Sakura Gelly Roll pen in Stardust. The cardstock is So Saffron.